Whether a business leapt at the opportunity to become one of the first suppliers with RFID tagged products or now finds itself currently being mandated to employ the technology, the implementation costs and the potential rewards are the same. To maximize the benefits of RFID, it is critical to view its capability to drive business process improvement, increase supply chain efficiency and ultimately improve bottom line results. From this perspective, the up front capital costs for hardware, engineering consulting costs, opportunity costs, ongoing cost of tags and, in a manual environment, labor associated with the RFID tagging of products are deemed a necessary investment. Rather than merely RFID tagging products to satisfy the requirements of their largest customers, companies can move from seeing RFID deployment as just the cost of doing business to an opportunity to enhance productivity and profitability. Understanding the impact of data collection and tracking as well as data integration is essential to RFID optimization. Internally, companies can collect data at multiple chokepoints to, among other things, make determinations about process or product flow improvements or to validate proper shipment components and quantities. External data can indicate problems with either too much or too little inventory in the supply chain, product idle time that can be removed from the system or even problems associated with out of stock conditions at the retailer. By gathering the data (internal and external) and turning that data into information, companies can begin to make supply chain decisions that can positively impact how business is done. Many companies are now utilizing the RFID data as a Proof of Delivery (POD), which is a very accurate tracking and tracing method since the RFID serialization is unique to a product, load or pallet. The data integration component involves the physical connection of the collected data into the host information system (i.e. ERP, WMS, etc). Data integration and how the data is to be utilized is the most important part of any RFID implementation. Where the data is captured, how it is stored and what is parsed or presented back to the host systems will define the success of the deployment. 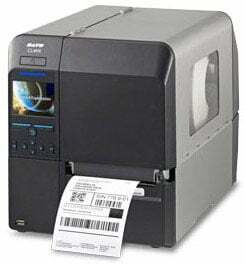 In most data collection applications today, data is captured and sent back to host systems using barcode technologies. RFID data is really no different in the way it is captured and processed; the difference is that the data is in an electronic format as opposed to barcode format and does not require human intervention or line of sight. Think of RFID as an electronic barcode that allows for additional data storage on the tag and, in many situations, can be modified or updated as needed. This is a huge advantage over traditional barcodes.